Author: IUCN. (1999). (L. Aguilar Revelo, R. Nicaragua, & L. Simmons, Authors). 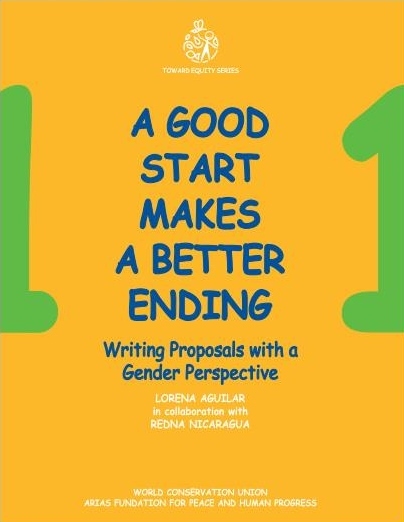 This manual provides a detailed description of recommendations and strategies for implementing a gender equity perspective into project planning. By explaining why this is important and what should be considered, this manual can be utilized by project planners in every stage of writing a project plan–from explaining the project background to allocating resources and developing a timetable.